Alhamdulillah, I am very delighted to inform you that I have successfully obtained my Ph.d and now back in Malaysia for good. Many thanks for your supports and responses on every updates, issues and information posted in my weblog. I will continue this small endeavor and consider it as one of my humble contributions to the knowledge on the subject. 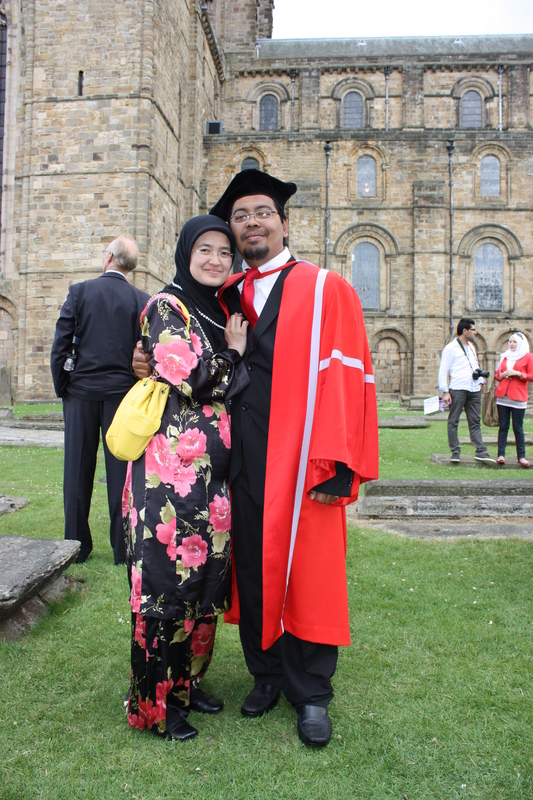 Durham University Summer Congregation 2011. With my best supporter, Mrs Hanani Harun.